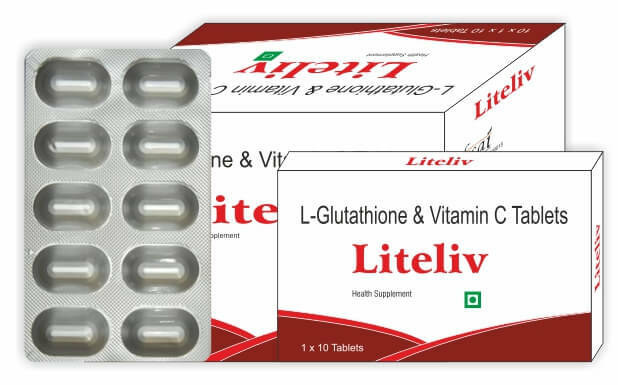 This combination consists of L–Glutathione with Vitamin C supplement is beneficial for Liver. It is a booster dose of antioxidants and safe health supplement for those consumers who are suffering from hepatic diseases. This combination provides antioxidants L – Glutathione with Vitamin C in specially formulated quantities, to bring the best supplement to fulfill the nutritional needs and provide overall nutritional support. This is a combination that works in balance and synergism on protection and integration of the physiological functions of the hepatocytes in which L – glutathione is a detoxifier and vitamin C as antioxidant which stabilize the liver cell membrane and other inner biological membranes of different intercellular organelles. Vitamin C helps body to produce Glutathione, a liver compound that drives away toxins. Glutathione is a powerful antioxidant and detoxifies the harmful compounds in the liver, where it is then excreted through the bile. Pairing Vitamin C with glutathione precursor offers an extra level of protection against free radicals. Glutathione is a protein that is found inside every cell of the human body, with the highest concentrations found in the liver. As a sulfuric Tripeptide it consists of the following three amino acids Glutamic acid, L-cysteine and L-glycine. Glutathione acts as a powerful antioxidant and detoxifier that protects cells from free radicals and oxidative stress and boosts the immune system. The levels of glutathione in the cells of the human body begin to decline after the age of twenty. Glutathione is the only intracellular antioxidant found, which means it acts inside the cells. As such it is able to maintain their health and performance and resist disease by neutralising free radicals and keeping other antioxidants, including Vitamin C and E, in their active form. It also helps the liver to process toxins, helps with DNA and protein synthesis, and regulates both the nitric oxide cycle and the metabolism of iron. Vitamin C is a potent antioxidant found naturally in many fruits and vegetables. Vitamin C has protective effects against liver oxidative damage, particularly when used in combination with glutathione. Researchers have found inadequate levels of vitamin C in patients with degenerative diseases. Vitamin C is a powerful anti-oxidant and is utilized by phase 1 liver detoxification pathways. Vitamins C and L–Glutathione act synergistically to neutralize free radicals with vitamin C scavenging for free radicals in bodily fluids and Glutathione protecting the cell membranes.These nutrients help protect the body from environmental toxins. 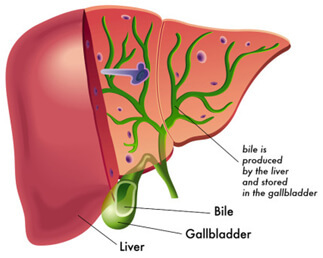 This combination also helps protect and repair the intestinal tract thus also protecting the liver indirectly by reducing the severity of leaky gut syndrome. Glutathione and Vitamin C is POSSIBLY SAFE for most adults when taken by mouth, by inhalation, or by injection into the muscle or into the veins. There is no disadvantage associated with the product if taken under the recommended usage. For Pregnancy and breast-feeding: Pregnant and lactating mothers should not take any single supplement in higher-than-normal doses unless recommended by a health-care provider for a special condition. The combination should only be used in pregnancy and lactation if benefits outweigh the risks.